This story originally appeared on Grist and is part of the Climate Desk collaboration.An entire summer’s worth of rain has fallen across a broad swath of the Midwest in recent days. The resulting record floods have wrecked homes and altered the paths of rivers, in one case destroying a waterfall in Minnesota. 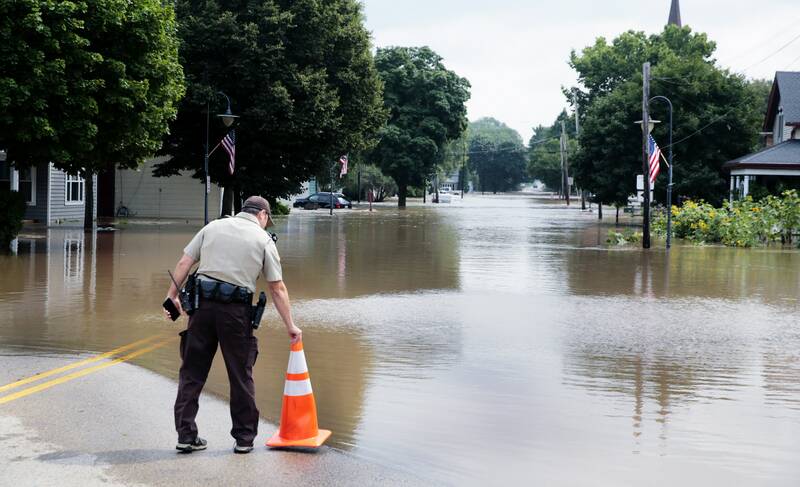 The worst-affected region, southwest Wisconsin, has received more than 20 inches of rain in 15 days– more than it usually gets in six months. Flooding in the Madison area has boosted lake levels to all-time highs, reigniting a more than 150-year dispute between boaters (who like lake levels high to avoid damage to their boats), conservationists (who want to avoid damage to sensitive shoreline ecosystems and wetlands), and property owners downstream (whose land gets flooded when water is released too quickly). That conflict has crept into Madison’s mayoral election, where candidates have called for a new lake management plan in the face of more frequent extreme storms.